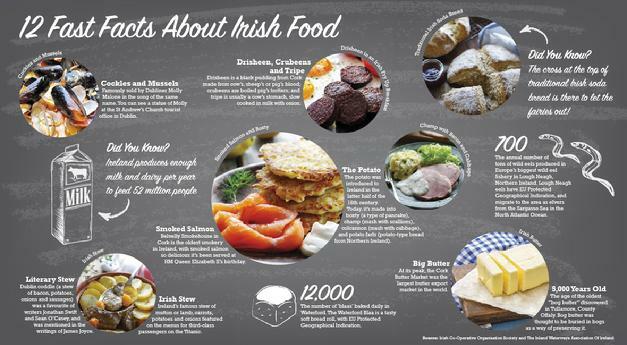 The people of Ireland take great pride in food sourced from the Island. We love the food in Ireland: Fresh and local. All of the beef and bacon we use in our restaurants, all of the milk in our Happy Meals and milkshakes, all of the cheese in our sandwiches, all of the water we sell and all of the eggs we crack for breakfast are Irish. We buy more Irish beef than any other business in Ireland. We buy meat from 18,000 Irish family farms... 1 in every 5 hamburgers sold in Europe is Irish. We purchase Irish milk and cheese from Kerry Foods. We now sell Ballygowan water in all of our restaurants. And we buy a million eggs every year from Greenfield Foods in Co Monaghan. So, next time somebody asks where our food comes from, you know that most of it comes from Ireland.